In conjunction with I-O Data Japan, Reference AV are pleased to announce the arrival of the fidata range of network audio servers and cables from Kanazawa, Japan. Reference AV have been appointed official distributor for the fidata brand for the Australian and New Zealand markets. 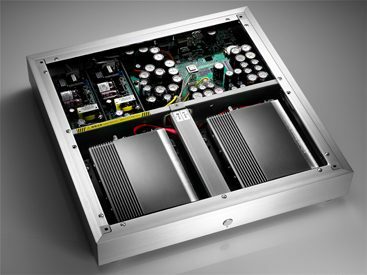 The HFAS1 series comprises of two models, both of which can serve as a complete network audio server (with their own custom iPad control application) for connection to a wide range of high-quality DAC’s or as an ultra-high-quality network attached storage source for connection to external network players/streamers. Designed and built in Japan with sound quality and reliability in mind, fidata has engineered and refined every aspect of the product, from the chassis, power supply, circuit design and user interface to deliver the ultimate in sound quality and user experience. The network servers are complimented by a range of high quality ethernet and USB cables to complete the installation. The official launch will take place in room 405 at the upcoming Australian HiFi & AV show, running from 19th – 21st of October at the The Como Melbourne MGallery by Sofitel hotel in South Yarra, Melbourne. We will have the flagship model HFAS1-XS20U on active demonstration along with ESOTERIC electronics, the new EgglestonWorks Viginti Loudspeakers and power conditioning from Shunyata Research. We invite you to stop by and experience the fidata products for yourself.